The Auburn Tigers saved their season and forced a decisive Game 3 in the College World Series by completing a miracle comeback that included a season-saving catch and a walk-off Grand Slam in extra innings. Auburn entered the game against Oklahoma trailing 1-0 in the best-of-3 series, needing a win to stay alive. However, they found themselves down 7-0 in just the second inning against a team with a 31-game winning streak, and seemingly out of it early. But the comeback started with a 3-run home run in the bottom of the second inning. Later, in the bottom of the fourth inning, Auburn completed the comeback with a 2-run home run that tied the game (via ESPN). Auburn was hosting a watch party at their home field and among those in attendance were men’s basketball coach Bruce Pearl and football coach Gus Malzahn. Pearl, who is no stranger to sitting among fans to support other Auburn teams, was pumped up. Even with Auburn erasing a 7-0 deficit with their season on the line, it turns out they were just getting warmed up. With two outs in the sixth inning, it looked like the Sooners were going to take back the lead. 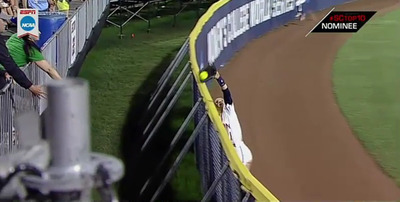 However, left fielder Tiffany Howard robbed Oklahoma or what would have been a 2-run home run, and once again Auburn had their season saved. 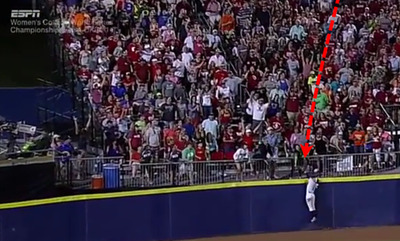 And she made the catch in front of a sea of Oklahoma fans. Of course, the game was still tied, and it was on to extra innings. 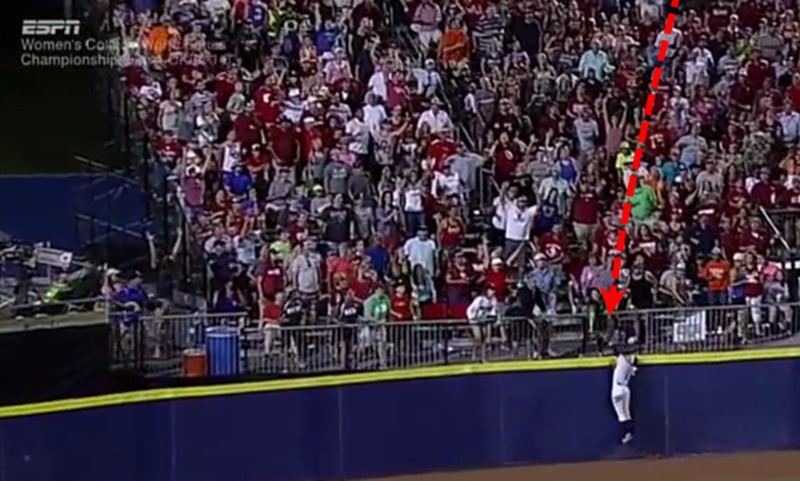 But Auburn had come too far to let this one slip away. In the bottom of the eighth inning, Auburn loaded the bases with one out. Emily Carosone needed only to hit the ball hard somewhere as any groundball or fly ball would likely result in a winning run. Carosone smacked a walk-off Grand Slam, giving Auburn 11 straight runs, an 11-7 win, and forcing a Game 3 on Wednesday night.